You've come to the conclusion that your company needs a strong online marketing presence. You understand that your products won't “sell themselves”. But now, if you're like a lot of business owners and managers, you're anxious. You don't think you'll be able to afford an online marketing campaign. Don't worry. Whether you have a new business and are trying to “bootstrap” your way to profitably on a shoestring budget or you have a well-established, successful firm with a fair amount of market share and just want to be frugal with your marketing investment, there are plenty of steps you can take and tools you can implement that will cost you little or nothing in terms of money spent. Whether you are starting a new business from your kitchen table, or your company has been around for several years, your website is crucial to your online marketing success. You need for it to be your online marketing hub. Even when you have a very small marketing budget, you can and should work to build a strong website that's an online marketing asset, not a liability. One of the primary goals of online marketing is to drive traffic to your website, so you need a site that grabs visitors' attention, keeps it focused and makes them want to return again and again. So one of your primary online marketing goals needs to be to continuously optimize your website. This will be an ongoing process; you'll never reach perfection, but it's something you can start working and improving on now even if you are a startup entrepreneur on a very tight budget. If you aren't skilled at website development, you can find capable designers at reasonable prices on websites like elance.com. So what can do you do to make your site more appealing and visitor friendly? To start with, you can set up a simple, intuitive navigation structure. Not only can you do this, you must do it. Put yourself in your visitor's shoes for a moment. Ask yourself what kind of user experience your site provides. 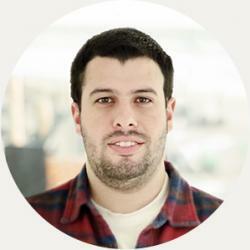 When someone visits your site, especially for the first time, he's often overwhelmed and confused. He may be dealing with outside distractions from his boss, coworkers, kids or a spouse clamoring for his attention. He may be distracted by something on the Internet. Online users' attention spans are often very short. If your website is confusing to him and hard to navigate, chances are he will give up. Make sure your graphics and images don't interfere with your goal of converting website visitors into customers. Keep your graphics simple and uncluttered. Keep your images relevant to your message. Don't make the mistake that so many online marketers make of putting bland, boring, irrelevant stock photos on their sites as space fillers. Keep your copy and content centered on the reader – his wants, needs, problems and your solutions. Social media is free and is an ideal tool for helping you drive traffic to your website. How can you use it for this purpose? By sharing links to posts on your blog along with a tantalizing “snippet” of content that tells what the post is about and why your potential audience might want to click through and read it. When you succeed in getting social media followers to click through to your blog, you have them on your website! Remember that this is your online marketing hub. Getting traffic to your site is a big step towards online marketing success. For the above strategy to work, obviously you need a blog, and you need it to be attached to your website (for example: Mywebsite.com/Blog). A blog offers you many potential benefits. If you include relevant keywords in your posts, it can help you with your SEO efforts. You can link to other blog posts and expose your reader to more of your blog content while increasing the amount of time he spends on your site. You can include subtle calls to action to persuade readers to contact you to learn more about your products or services. Blogging is free, but the quality of your blog's writing matters. An in-depth “how to” discussion on effective copy and content writing is beyond the scope of this article, but this one talks more in-depth about this very important online marketing topic. Youtube and a number of other video hosting sites allow users to upload and display videos for free. Lots of online marketers, including many on a shoestring budget in startup mode, have enjoyed success in driving traffic to their websites through video marketing. Even if you don't have access to expensive camera equipment, you can shoot decent quality video with a typical smartphone video camera and do editing with basic, inexpensive software programs. But remember this: video marketing is still marketing. The words you use matter. In copywriting and content marketing, you need to “write like you talk”; in video marketing, talk as if you were speaking the words from a world-class piece of copywriting or marketing content. And remember what we said earlier about driving traffic to your website; this is one of the main goals of online marketing, and video marketing is no exception. Include your website address in your videos, and as you are speaking to video viewers, invite them to visit your website. Email marketing is a “tried and true” online marketing technique. Many companies and solo online entrepreneurs have used it with outstanding success. And it's a tool you can use and benefit from even if you are on a tight marketing budget. As is the case with blogging and video marketing, the same rules of effective, persuasive content marketing and copywriting apply to email marketing. It's also very important that your subject lines enhance your open rate. Think about it: You can have the most beautifully written, persuasive email that promises to send your click-through rate through the roof, but if your email never gets opened, it won't get you the results you want. Doppler is a very effective email marketing program you can use, even if you are on a tight online marketing budget. You can try Doppler out for free, and plans start as low as $15 per month. A primary goal of online marketing is conversion. In a nutshell, this means you successfully persuade a website visitor or prospect to take a specific action you want him to take – an action that results in a sale or (in the case of B2B content marketing) leads one step closer to it. 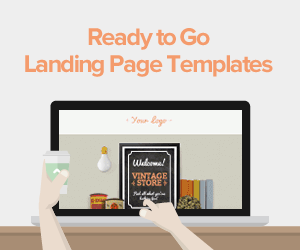 And to do the most effective conversion job possible, you need landing pages. A properly set up landing page helps you combat the distractions so common on the web and focus your reader's attention on the thing you want him to do, on the conversion step you want him to take, whether that is to register for your next webinar, join your email list, request your latest white paper or case study, or in an e-commerce situation, to take his credit card out of his wallet and purchase your product. 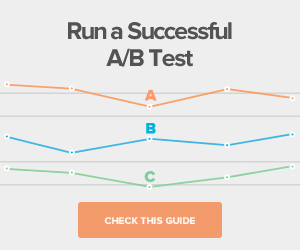 Conversion is a critical part of the online marketing process; without conversions, your efforts will fail. 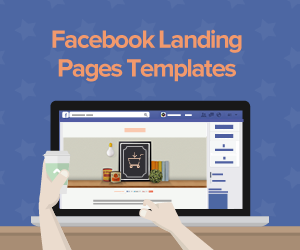 And no landing page platform does a better job of helping you convert prospects into customers than Lander, the easiest to set up landing page platform in the Universe! Are you on a tight budget? Maybe you don't have a lot of money to invest in online marketing, but you still understand how critically important it is for the success of your business. 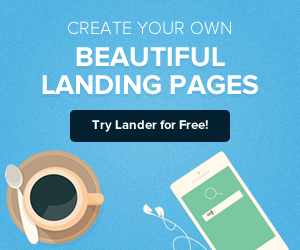 Here's something you will love about Lander: you can try any of our state-of-the-art landing page templates for free, and monthly plans with up to 1,500 visitors per month start as low as $25. Got questions about Lander and how it can help you succeed in your online marketing efforts even when you are on a tight budget? We have answers, and we'd love to visit with you! Contact us today or leave a comment in the box below.